Regular using of DIY leave in conditioner makes women look so great. Preparing DIY conditioner is not a time-consuming matter, rather it is easy to make at home. The conditioner helps to make one’s hair soft and silky. The conditioners that we buy from the shop are expensive. The additive chemical is harmful also. If you want greater benefits in an inexpensive way, you can try these 11 recipes at your home. You will need: ¼ cup distilled water, 3 tablespoons of base conditioner. Method: Take a spray bottle fill it with conditioner and distilled water, now shake to mix it properly. If it becomes too thick to spray, use little more water. Usefulness: Keep more moisture in your hair. You will need: 20 ml silicone-free conditioner, 120 ml distilled water, 30 ml of olive, fractionated coconut, avocado, almond, jojoba or jojoba oil. Method: Take spray bottle. Mix all ingredients and fill in a spray bottle. Now shut down the bottle cap and shake until the ingredients mixed properly. Apply the mixture to your damp or dry hair. Usefulness: This type of DIY leave in conditioner is essential for detangle or soften hair. You will need: 90 ml of aloe vera gel or juice, 150 ml distilled water, 30-60 ml fractionated coconut oil, 250 ml light conditioner. Method: Pour the entire ingredient into a spray bottle. Shut down the bottle cap land shake to dissolve aloe vera. Apply only to your damp hair. Usefulness: This conditioner helps those who have curly hair. You will need: 15 ml glycerin, 30 ml olive, coconut, or avocado oil, 45 ml distilled water, 60 ml light conditioner, and if you want you can add 2-3 drops essential oil. Method: Take a spray bottle and fill it with all ingredients. If you want to add some essential oil, you should take a glass spray bottle. Shut down the cap and shake to mix all ingredients properly. Usefulness: Those hairs that need extra-moisturizing care should use this conditioner. How to prepare Sprayable DIY Leave in Conditioner? You will need: 60 ml aloe vera gel, avocado oil (1 teaspoon), 30 gram coconut oil, and 80 ml distilled water. Preparation Method: At first take a spray bottle and pour all aloe vera gel into it. Also, add water, and shake to mix properly. Take another container, mix avocado oil and coconut oil. Now take the spray bottle and four the mixture into it. Shake it again to mix properly. Apply this conditioner only to your damp hair. You will need: 475 ml coconut oil, 350 ml aloe vera juice, and 2 teaspoons of jojoba oil. Preparation method: Take glass spray bottle and fill up it with all ingredients. Shut down the cap of the bottle and shake until it combines properly. Don’t forget to shake the spray bottle before using. You will need: 2 teaspoons jojoba oil, 3 teaspoons shea butter, 5 drops of lavender oil, and 120 ml coconut milk. Preparation Method: At first take the shea butter, melt it, and then mix it to coconut milk. Stir it until it mix properly. 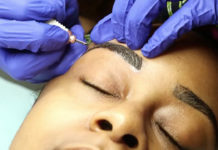 Now take the lavender oil and jojoba oil, mix it. Take a glass spray bottle and fill it with the mixture. This conditioner helps to remove scalp sooth irritations. Remember to warm this DIY leave in conditioner before using. You will need: 15 ml aloe vera gel, 15 ml vegetable glycerin, 10 drops of lavender or rosemary oil, and 75 ml distilled water. Preparation Method: Take a glass spray bottle and pour all ingredients into it. Shake to mix the aloe vera gel properly. If you have detangled hair, spray onto your damp hair, then wait for a minute and finally comb your hair gently. You will need: apple cider vinegar (2 teaspoons), 160 ml distilled water, 7 drops lemon oil. Preparation Method: Take a glass spray bottle and pour the distilled into it. Add lemon essential oil and apple cider vinegar. Shut down the cap of the bottle and shake it until it dissolves properly. Now, spray on your damp hair to remove detangle hair and add more shine. You will need: ylang-ylang oil (2 teaspoons), distilled water (120 ml), coconut water (2 teaspoons), aloe vera juice (2 teaspoons), honey (2 teaspoons), and 6 drops essential oil. Preparation Method: Mix coconut water and aloe vera into a spray bottle. Add honey and distilled water into it and stir. Take another jar and melt coconut oil with essential oil, and ylang-ylang oil. Stir to dissolve. Now pour this mixture into the spray bottle’s mixture. 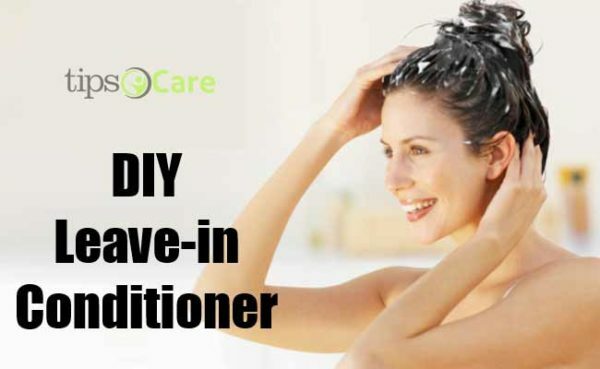 To prepare Hydrating DIY Leave in Conditioner. You will need: 20 gm coconut oil, 30 gm shea butter, honey (1 teaspoon), and 2-3 drops lavender oil. Preparation Method: Take a bowl and melt coconut oil and shea butter in a microwave or double-boiler. Now mix the essential oil with honey, stir it, pour the mixture into a jar. Now mix all ingredients properly. 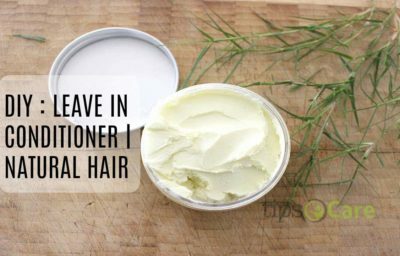 All of the above DIY leave in conditioner recipes are easy to follow and cheaper than the commercial conditioner products. 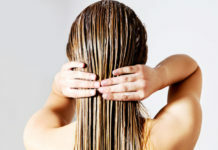 Moreover, these DIY conditioners are safe to use.